The LV1000 barcode scanner module is the wide angle version high speed scan engine. It is capable of delivering 65-degree wide angle data capture and 3-Mil high density scanning even in the most space-constrained system design, enabling you to scan the widest as well as the densest barcodes from the nearest distance possible. As a result, the LV1000 barcode scanner module is an excellent choice for fixed devices such as ticketing machines and lottery kiosks. 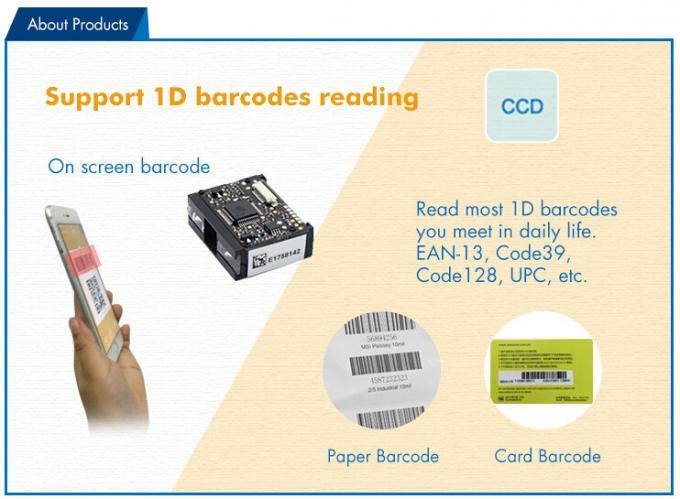 The LV1000 1D barcode scanner module is TTL232 interface with fast decoding, high performance, outstanding reliability, ultra low power and long range scanning, which can built in android PDA, handheld devices and so on small terminal machines. Serial communication interface is usually used when connecting the engine to a host device (like PC, POS). However, to ensure smooth communication and accuracy of data, you need to set communication parameters (including baud rate, parity check, data bit and stop bit) to match the host device. The serial communication interface provided by the engine is based on TTL-level signals. 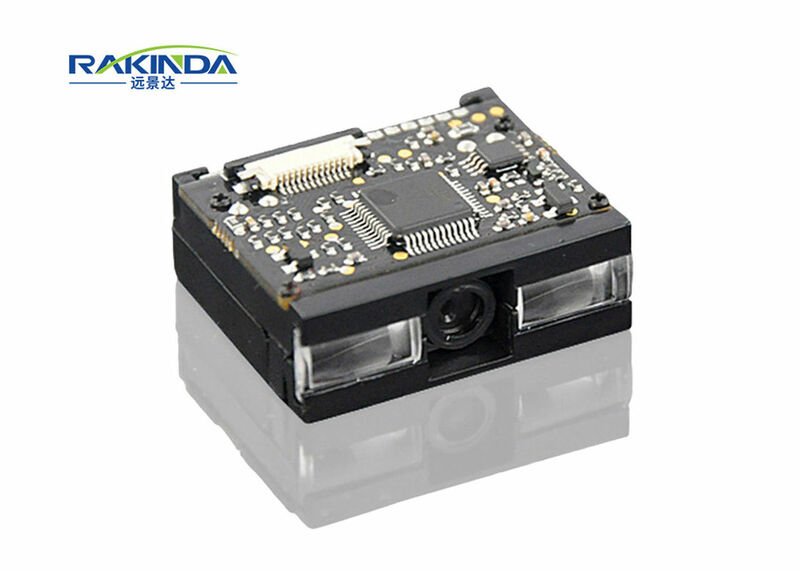 TTL-232 can be used for most application architectures. For those requiring RS-232, an external conversion circuit is needed. The conversion circuit is available only to some models.